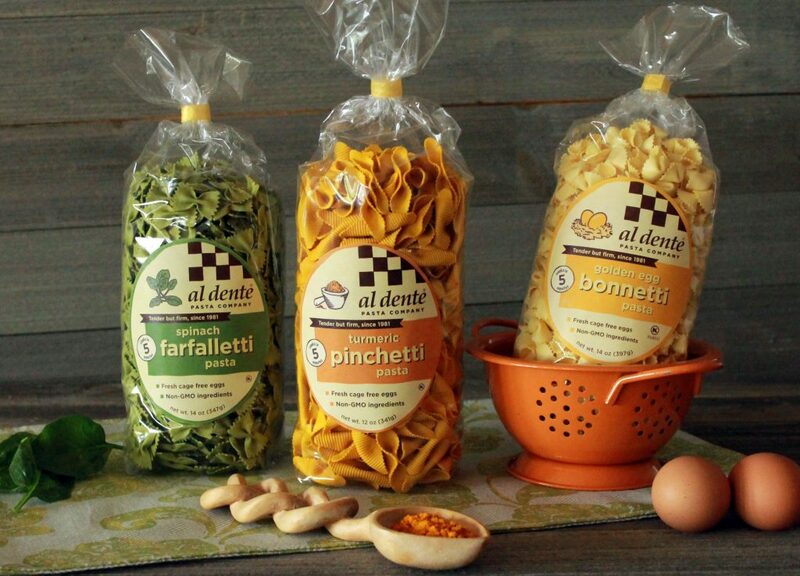 Famous for its 3 minute cooking time and fresh, homemade texture, all of Al Dente pastas are mixed in small batches and rolled out by real people using the finest ingredients. 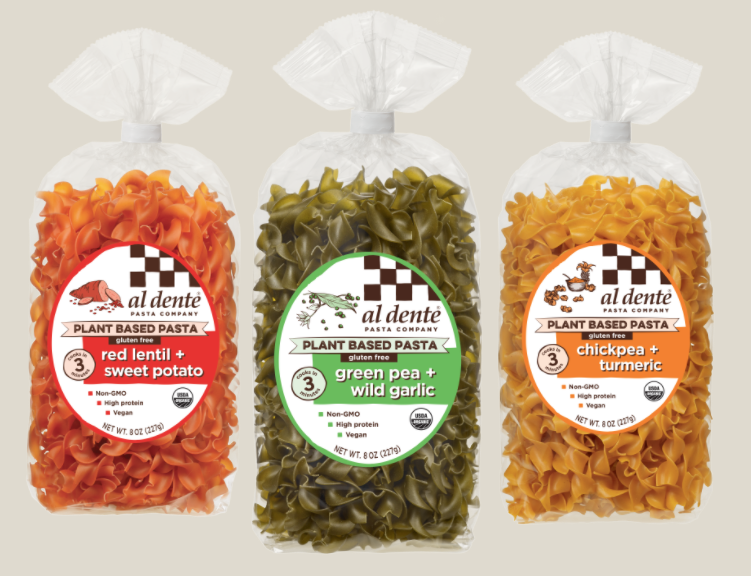 With nothing to hide and everything to show, these Plant Based Pastas are not only high protein, gluten-free, certified organic and GMO-free, their unique flavor combinations form a delicious foundation for any recipe, all without sacrificing taste or texture. 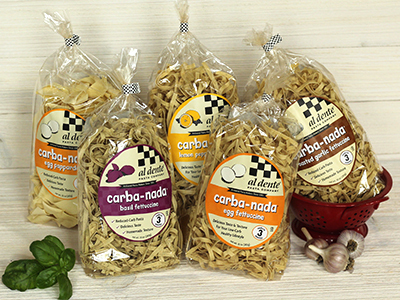 Many consider Carba-Nada to be the pasta that changed their lives! Diabetics call us to say it’s the only pasta than doesn’t cause spikes in their sugar. Weight Watchers share their love on instagram. Even hard-core foodies say that Carba-Nada, with its lower carbs (24g), lower calories (170) and higher protein (15g) has become a guilt-free part of their cooking repertoire. Our Classics are the originals, dating back to 1981. That’s when we had the idea to roll out pasta, just like an Italian grandmother would do in her own kitchen. We decided to make traditional flavors like Egg and Spinach but also expand offerings to include new, inspiring flavors—Basil, Garlic Parsley, Spicy Sesame, Squid Ink, Wild Mushroom and more. You’ll love the fresh, homemade texture and 3 minute cooking time that has made our classic pastas a staple in kitchens all across America! Our Gluten Free Pasta Spirals are made with white bean and brown rice flour making it high in protein and rich in fiber. 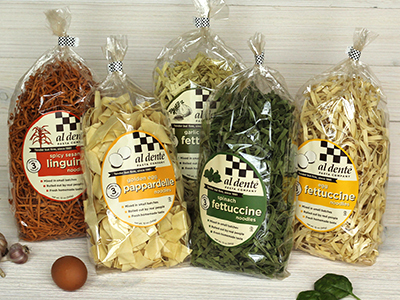 The great taste, texture and three minute cooking time make this pasta a dream come true for Gluten Free pasta lovers! Chia seeds are not only uber-nutritious, but they are also a perfect egg replacer. That’s why our vegan BonaChia pasta has all the tenderness of our traditional, classic egg pasta. And, of course it cooks in just 3 minutes. Food is love and everyone loves pasta, from family to friends to colleagues. 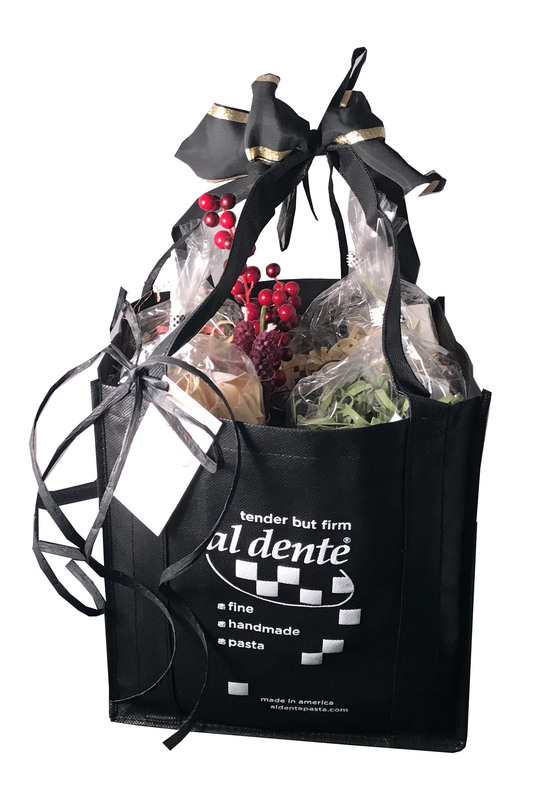 The gift of pasta works for anyone, anytime, any occasion! We make it easy. Order online or call us on the phone. We ship anywhere in the continental USA. We’ll include a card and recipes.